Robots are creepy. They can be engineered to look, move, speak and even interact like humans. But no matter how lifelike they seem, they’re still awkward and stiff. We like to chat, laugh and socialize with other humans, it’s just how we’re built. So why is it that so many small business owners still insist on acting like robots on social media, blogs and other lead generation content? 2015 is the year of connectivity. Social media, mobile technology, online gaming, Skype, there’s no limit to our ability to connect with people across town, or across the world. Even though technology has changed the means in which we communicate, some small business owners still stick to dated rules on how to interact with leads and customers. For example–speaking in non-personal, stiff language, much like robots do. As a small business owner you have an opportunity to connect directly to potential customers through social media. But before you can start working this powerful piece of communication into your outreach or customer service plan, you have to understand how to be uniquely you on social media. In the age of social media, authenticity is one of the most important qualities to develop when creating content online. There’s nothing more annoying than businesses trying to latch onto trends or constantly posting click-bait to shock their followers. And on the opposite side of the spectrum, we’ve all seen those posts which are jammed to the brim with SEO rich keywords. SEO is important, but there has to be balance. If your content doesn’t have personality or the touch of a real person behind it, all the SEO in the world won’t keep people engaged. It’s human nature to connect with those we have something in common with. But in order to do this, you need to understand who your best customer is, how to find them and how to connect with them. Then you can bring your unique perspective into your social media, content and other online marketing. I know my high school English teacher would hate this, but you don’t have to write perfectly on social media. Make no mistake–spelling errors and missing punctuation marks are a big no-no! But instead of writing for academia, write as if you’re talking to fans and followers in person. Long sentences with hard to digest words. Fluffy words to fill up space. Industry jargon, buzzwords or overused cliches. Imagine you’re at a party, and you’re approached by 2 people. Person A introduces herself, asks how you are, then starts talking about a movie you both recently enjoyed. Person B (who by the way has food on his face) introduces himself by talking about his newest get rich quick scheme that you should get in on. Who are you going to continue chatting with? Who are you going to accidentally leave talking to himself by the hors d’oeuvres? Social media is about being social. If you’re only sending out tweets and status updates on your hot new products, you’re missing the mark. Mix in messages about fun things, your blog content, ask questions or post anything else your community will find interesting. We are living in an era of connections and personal relationships. Business owners can no longer hide behind a logo. 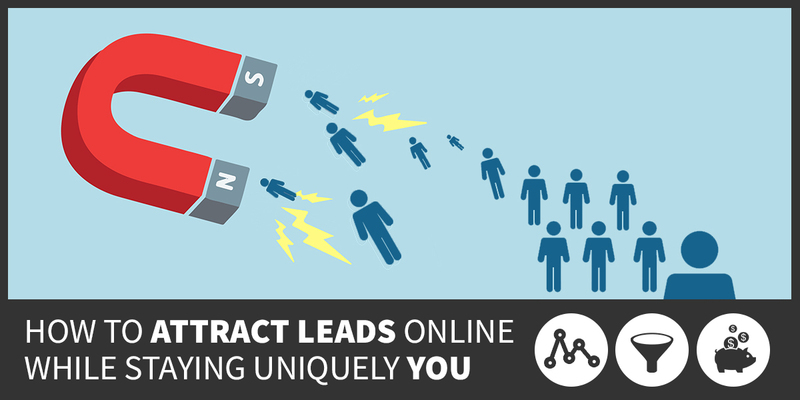 They need to be talking, networking and fostering relationships in order to successfully attract leads online. So we want to know, how do you make your followers feel special on social media? Let us know in the comments. Excellent post! Even SEO is becoming more geared towards authenticity, rather than presence of keywords. It’s so important to think of the reader first, or it’s easy to alienate them.